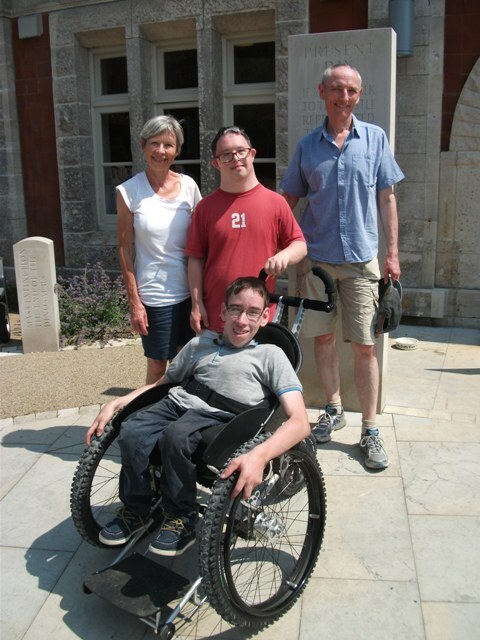 Durlston Country Park aims to provide the highest level of access possible for all users. We have an online access guide now available with comprehensive information for visitors with access requirements. Please use the link below. We also have a "Visual Story" of Durlston Country Park designed as a guide for people with autism. We aim to provide a friendly, accessible environment for all our visitors and the widest possible access to our trails, habitats, events and buildings. For more information please contact us. Durlston is easily accessible by car, sign posted with brown tourist information signs through Swanage. The Park is roughly 30 minutes walk uphill from Swanage on one of many Public Footpaths. Access via public transport can be more difficult. We have ample parking spaces on site, with a call point located in the Castle car park, just next to the marked disabled parking bays. Car parking charges do apply to all visitors, this helps to support our work managing Durlston. If you have difficulty getting from the Car Parks to the Castle, please contact us before your visit, or use the intercom located to the left of the bollards in the Castle Car Park and we will be able to assist. For more information on parking charges please click here. Durlston Castle, situated 75m from the first car park on the left and linked by 'The Timeline' a shallow zig-zagging path, is an ideal place to begin your visit. Friendly staff and volunteers are always on hand to recommend a route around the park that best suit your needs, to help you make the most of your visit. Wide doorways, and platform lifts throughout make the Castle easy to navigate. An induction loop is available and we are happy to provide large print copies of our leaflets and guides on request. As well as providing information about the park the Castle hosts facilities including an accessible roof terrace, disabled toilets, shop and cafe-restaurant. The Castle also provides indoor and outdoor seating. All dogs, including guide dogs, are welcome in the Castle, Park and cafe. Less mobile visitors are welcome to hire out one of our 2 battery operated Trampers. These specially designed off road mobility buggies are easy to drive and allow you access to much of the park along several agreed routes. The routes vary in distance and terrain, providing a range of experiences to suit people seeking a simple ride to those looking for something more challenging. Our Trampers are run as part of the Countryside Mobility South West scheme. Membership to the scheme and a 10 minute induction session is required before a Tramper can be hired out for a small donation. Booking in advance is recommended, but not essential. The Countryside Mobility Scheme is working to improve access to the countryside for people with limited mobility living in and visiting the South West region. For more information on the scheme please follow the link above. There are many paths at Durlston, covering a wide range of terrain. The landscape of the Park means some routes can be more challenging than others; however we are confident there is a route available to suit all levels of ability. We have 4 way-marked trails around the Park, each clearly signposted, with information leaflets and maps available from the Castle. This 1 km trail takes you along Durlston's cliff-tops past our seabird colonies, the Dolphin Watch hut and the Great Globe. The path is mainly compacted limestone chips and is uneven in places. Great for sea views, the trail is one of our more challenging routes with some hills and one very steep section of the path. There are no gates or stiles on this trail. The Woodland Trail is one of Durlston's more accessible routes. 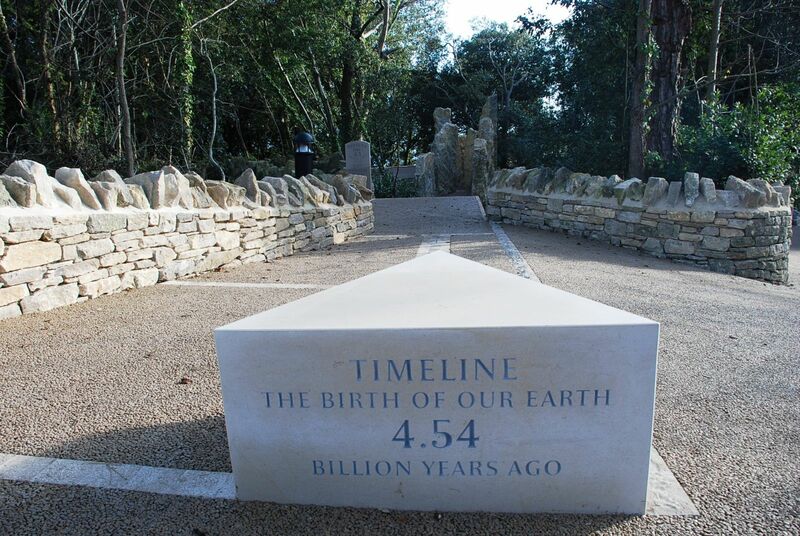 Around 1 km in length it has both tarmac, woodchip and compacted limestone paths. This gently sloping trail takes in the wildflower-filled Long Meadow, the tranquil glades of the woodland and views of Durlston Bay. There is one bridle-gate on this trail. This is an ideal short route for families. Explorers Rucksacks full of hands-on activities designed for this trail can be hired from the Castle. This 2 km trail is our most cross-country route, taking you out across the downs and back through the beautiful wildflower meadows. The route is mainly along grassy paths, but takes in a section of tarmac road. Steep and uneven in places, the undulating path includes one steep hill. There are bridle gates, kissing gates and field gates along this trail. This trail is ideal for spotting butterflies and wildflowers. For those looking for a shorter route, this is a direct route to Anvil Point Lighthouse and back. This is an enjoyable tarmac path, ideal for a first foray on one of our Trampers, with a steady but long climb back up the hill to the Castle. Our longest route, 5 km in length, the Victorian Trail links Durlston to Swanage, taking you past many historic sights and monuments. We recommend travelling downhill from the Durlston end of the trail. There are a wide range of surfaces including pavements, tarmac path, compacted limestone chips and grass. There is one short, but steep section of uphill path when walking from the Durlston end of the trail and a long, streep downhill section over grassy paths. There is one bridle gate along this trail. Following the South-west Coast Path from Durlston, westwards along the cliff tops, takes you out onto the Purbeck Wares. This is a beautiful section of coastline, boasting several sea quarries including the famous Dancing Ledge. Due to the nature of the terrain this is a very challenging walk including rocky and uneven paths, steps, steep inclines and several stiles. Please note that weather conditions can make a big difference to the accessibility of some of the trails. Durlston hosts a wide range of guided walks and events throughout the year. Many of our events last 1.5 hrs and involve a walk of less than 2 miles. Walks which involve greater distances will be stated in the event listings. Some events are based at the Learning Centre which is fully accessible. Most can be adapted to meet individual requirements. If you would like to attend one of our events, but have concerns about accessibility, please get in touch so that we can discuss how we can best accommodate your needs. For events listings click here. 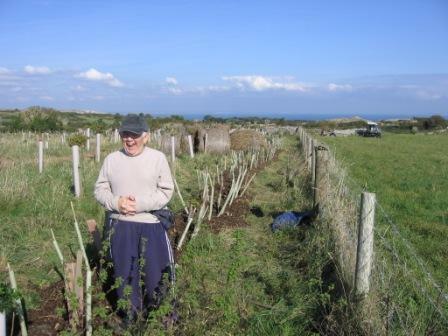 There are many opportunities to volunteer at Durlston, whatever your skills or interests. Some of the areas our volunteers get involved with include work parties, dolphin watching, assisting in the Castle, computer work, photography, wildlife surveying and helping deliver our education events. Regardless of your disability there is an opportunity to suit you! If you are interested in becoming a volunteer at Durlston please follow this link, drop us a line, email us or ask at the Castle for more information. If you have any queries about visiting Durlston please do not hesitate to contact us on 01929 424443 and we will be happy discuss your needs.